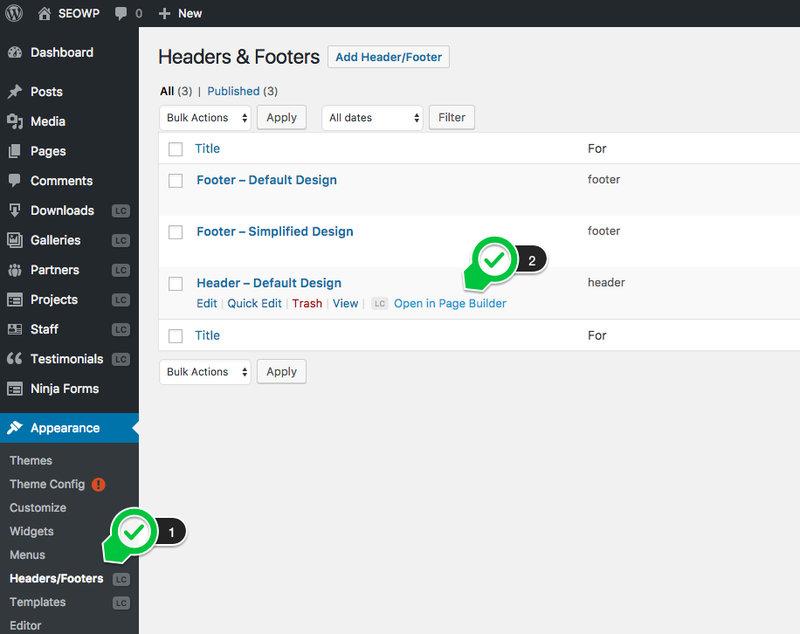 Go to WP Admin > Appearance > Headers/Footers and select the header you are using. 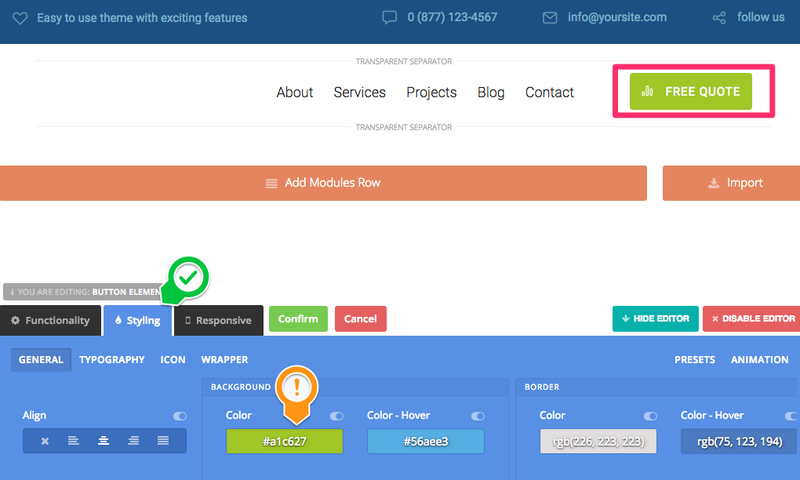 In the case you are using the demo content, open in Live Composer the "Header - default design". 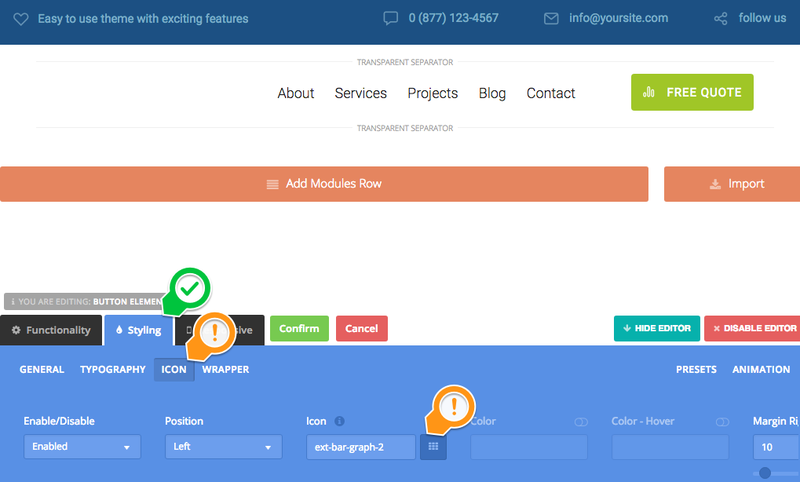 Drop a "Button module" and use the "Style" tab to customize the look of the button. Add an icon to the button. Open your header position menu. Add a " custom link" menu item with the link to the page wanted ( in demo it is /request-a-free-seo-analysis/ ). 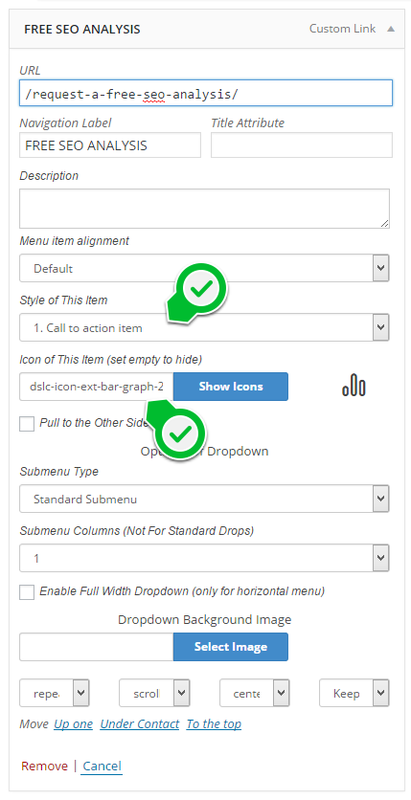 Set the "style of the item" to " Call to action item".